On January 29, 2018, The People's Currency Foundation (a U.S.-based 501(c)(3) nonprofit) published their whitepaper for Manna, a relaunching of the basic income cryptocurrency formerly known as Grantcoin, which was the first publicly traded blockchain currency to be distributed universally to all those verified as unique applicants. Its first distribution occurred on June 30, 2016. Four more disbursements occurred on October 1, 2016, January 31, 2017, June 17, 2017, and August 9, 2017. 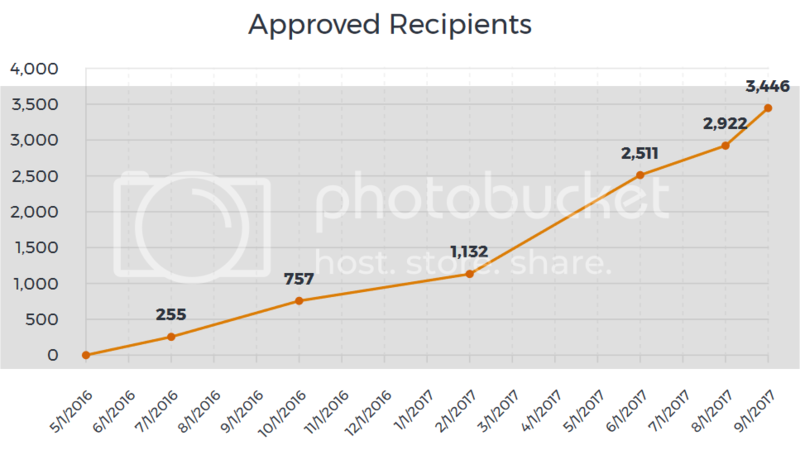 Considering each disbursement was around 7,000 coins per recipient, that's an unconditional grant of about $75 per person per disbursement in today's USD cash equivalent market value, and more for those receiving referral bonuses. That may not sound like much to those in countries like the US, UK, and Canada, but for those in countries like Kenya, that's a full basic income sufficient to cover basic needs. In fact, to give some further context, the largest basic income experiment ever devised is going on in Kenya right now, where the NGO GiveDirectly is providing monthly basic incomes of around $22 USD for the next 12 years. The Manna money supply is planned to increase at an annual rate of 3.5%, chosen because it's close to the historical average inflation rate of the US. 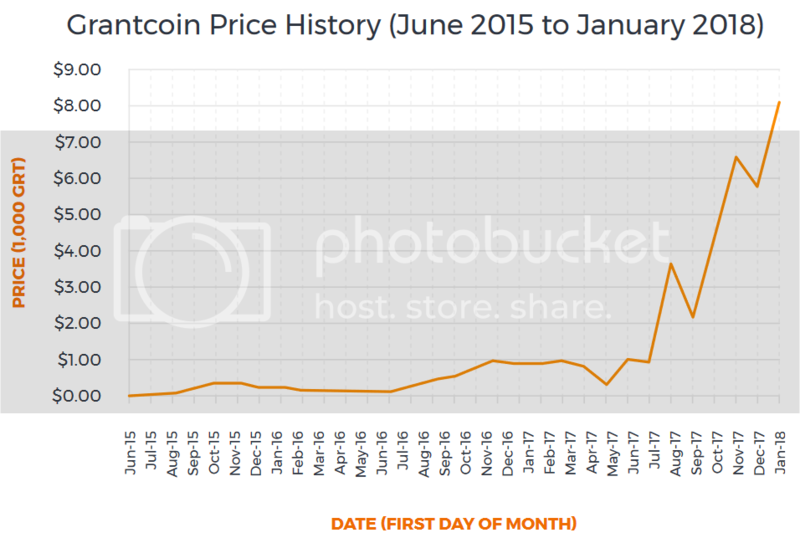 For comparison, the inflation rate on Steemit is around 9% right now. 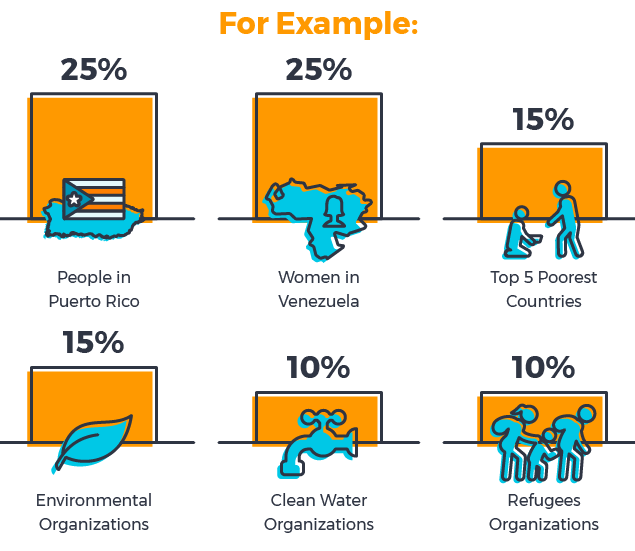 The value of Manna is determined not only by the market exchange rate, but unlike most other cryptocurrencies, it is also backed by tax deductible donations to the 501(c)(3) People's Currency Foundation. One future goal is to go even further with this model by pursuing something similar to Alaska's Permanent Fund, where a diverse portfolio of investments would further back the cryptocurrency. 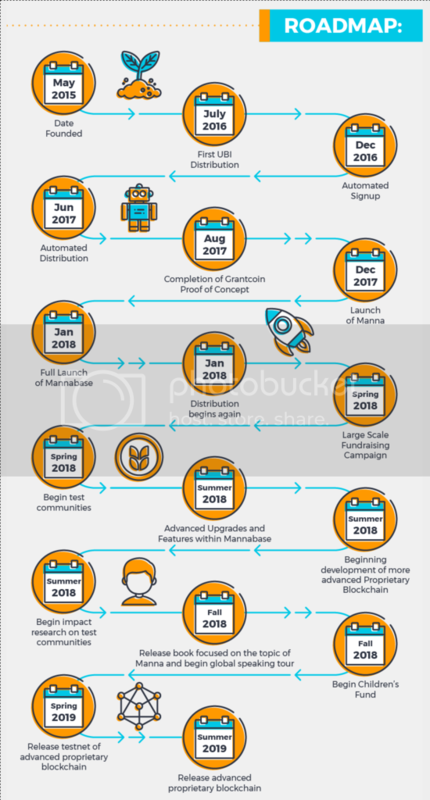 Last but not least, here's the roadmap for Manna to see what the plan is over the next year. Notice the intention to provide entire communities with Manna to test full universality. For those interested in beginning to receive a basic income via Manna, sign on up, and click follow on Twitter and Facebook for regular updates. Do you know of one not listed above? Please let me know. Like my writing? Please subscribe and also consider making a small monthly pledge of $1 per month or one-time donation in support of my work in advocacy of universal basic income. Have a question about basic income? Here's a list of links that answers frequently asked questions.